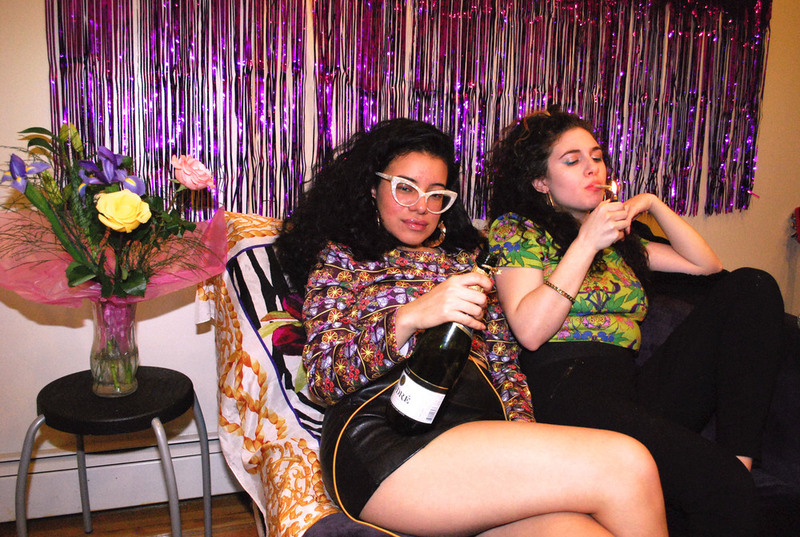 We're late with this post, but here's our own photo series for the 'Feeling Myself' zine! The shoot is in response to the small minded behavior that men spew at us in response to us living life the way we choose. You know when a guy gets rejected by a girl, there's the good chance of hateration to follow. We'll hear how we went out one night just to get a guy, we wore that dress for other guy's attention, the way we dance, how many drinks we have, even us taking selfies is only to get their attention. PLEASE! We're gonna go buy ourselves some chocolate, flowers, shoes, and diamonds FOR OURSELVES! We will wear skin tight dresses and take a million selfies for OURSELVES! We believe in doing us for us, not at all for them.